Despite the fact that poker is extremely popular in Israel, it is also currently illegal. However, legislator Sharren Haskel of the Likud Party is trying to change this situation with her introduction of a bill in the Knesset to legalize the game. The Knesset is Israel's national legislature. Even though a lot of Israeli citizens play poker, they can technically be sent to prison for a year. The individuals who organize card games for real money can spend up to three years in prison. In practice, home games are left alone by the authorities, but there are no casinos at all in Israel, much less any that offer poker, because of the country's strict anti-gambling laws. The only forms of gambling permitted to Israelis are the lottery and sports betting, which are both controlled by state-run organizations. Boat cruises are also popular because they offer gambling while outside Israel's territorial waters. Haskel's bill would reclassify poker as a game of skill rather than as a game of chance, which is its current designation. This would enable residents of the country to enjoy playing tournament poker. The Ministry of Finance would have the power to regulate and tax the activity while the Israeli Poker Players Alliance is foreseen as having an organizational role in arranging and hosting the tournaments. According to Sharren Haskel, a recent Supreme Court ruling stating that individuals playing poker are sportsmen means they should be allowed to enjoy this form of competition in their own country. This is not the first time a push to legalize poker has been attempted in Israel. The Poker Players Association in Israel took the issue to court ten years ago. Their goal was to open up Israel to international poker tournaments. This issue went all the way to the Supreme Court. In spite of the argument presented by University of Tel Aviv Professor Ehud Lehrer based strictly on statistics, the Supreme Court classified poker as a game of chance, and it was prohibited. 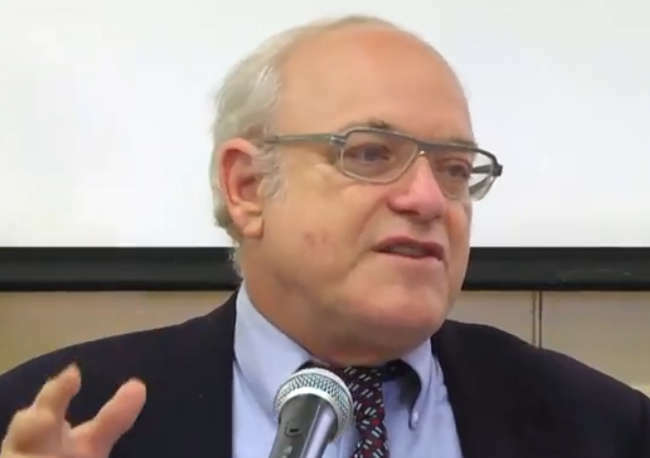 The new legal perspective now emerging was enunciated by Judge Neal Hendel, one of the members of the Israeli Supreme Court. He believes the fact that poker players regularly go to the tournaments and contests each and every year adds strength to the conclusion that poker is not simply a game of luck. Judge Hendel made this statement during a recent ruling where poker was found to be a game based on skill after all. The current bill by Haskel is an attempt to build off this ruling. Though they must ply their trade on the international circuit rather than at home, this hasn't dissuaded Israeli poker enthusiasts from amassing an enviable record of results at the tables. In World Series of Poker events, players from Israel have won an impressive dozen gold bracelets, good for eighth place among all countries in the world. During just the past month, a trio of players from Israel won bracelets during the WSOP Europe series. They included Timur Margolin who also won an event at the WSOP in Las Vegas in June. 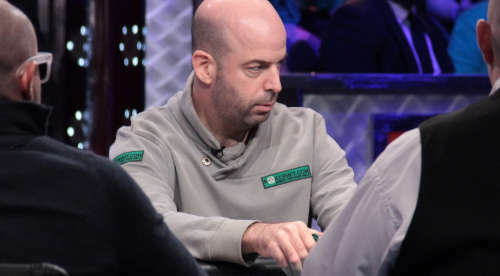 There are other notable poker pros from Israel including Zvi Stern, Asi Moshe and Rafi Amit. Amir Lehavot leads the country as the individual with the most live tournament winnings, totaling in excess of $5.7 million. The attention these players have received has helped bring attention back to the debate. Many believe these people have provided poker with the best chance it has ever had of being legalized in Israel. Sharren Haskel has stated that the sportsmen of Israel bring both pride and respect to their country during international competitions. She also said poker players have been determined to be sportsmen by the Supreme Court ruling. In Haskel's view, since they are no longer classified as gamblers, they should be able to practice in their home country. The poker community has been gladdened to see the shifting public image of the game. During the past month, this community had garnered unwanted attention. A good example is the fact that the Unit for Combating Economic Crime has started blocking unauthorized gambling domains. This could potentially have an impact on the operators of online poker rooms, but making live poker legal would also improve the chances of internet poker being allowed too. Poker a Tax Gold Mine? It's not just the general populace of Israel who are discovering an interest in poker. Over the past year, players have learned, to their chagrin, that the Israel Tax Authority has been researching on sites like WSOP.com and Hendon Mob to get an idea of how much cash specific individuals are winning. The issue of the taxation of poker winnings had been mostly ignored for years, leading some winners to rack up impressive totals of unpaid taxes, which they may now have to hand over. Income from poker has traditionally been declared to fall into the category of lottery and gambling prizes. The tax rate for this classification is set at 35 percent. It has been suggested by the authorities that winnings from poker tournaments are actually business earnings. Business earnings are subject to tax rates as high as 50 percent. 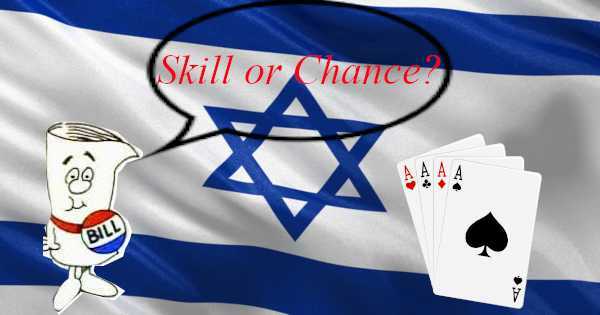 The pending legislation to certify poker as a game of skill may turn out to have significant tax implications for Israeli players, and for once, they might prefer that poker be treated as a game of chance. Israeli citizens who have a hankering to play poker but don't have any brick-and-mortar venues for doing so can head online instead. The authorities view this activity dimly and have even started to block real money gaming sites. Like with many things that the government does, their efforts have proven laughably ineffective. If you live in Israel and would like to play card games online at a reputable site, then we heartily recommend Sportsbetting.ag. It has not just a poker room but also a sportsbook, casino, and several other gambling sections. You'll get a 100% up to $1,000 poker bonus with your first deposit. Read through our accurate Sportsbetting.ag Poker review for further information.